The last two Foo's albums have been ok. Cracking singles but for the most part the album tracks that never see the light of day, either as a single or at a live gig, have been a disappointment. In Your Honour was too long, the acoustic second half should have had a separate release and the last album Echoes, Silence, Patience & Grace despite containing the monstrous The Pretender was largely pretty average. So Wasting Light needed to be special. It opens with Rope which you've probably heard with it's thudding riff and chiming guitar. 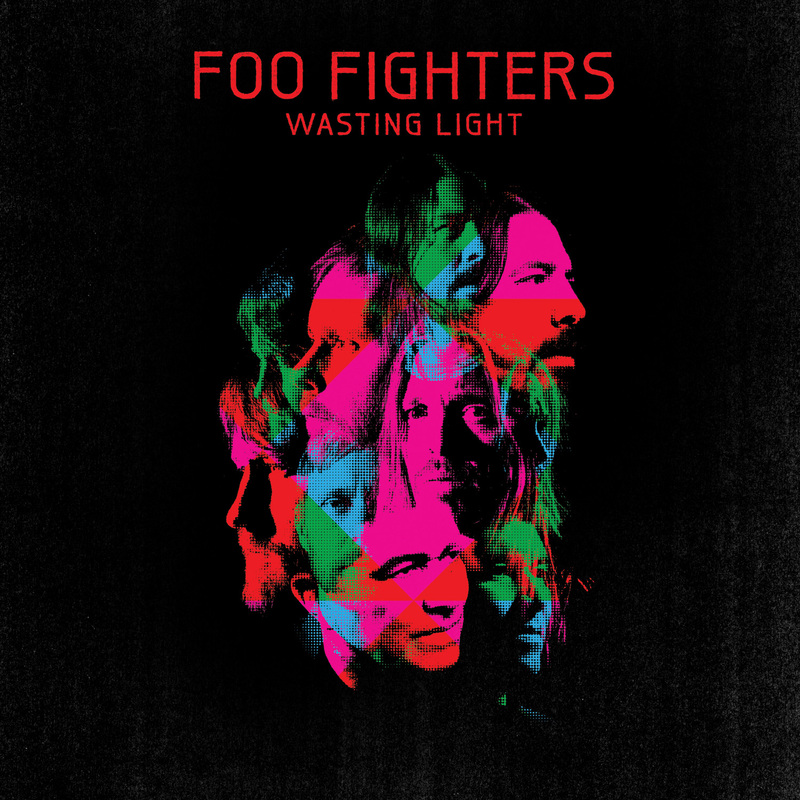 It's a solid enough start, lets face it the Foo's have a template and their not deviating from it much on Wasting Light but Rope has all the classic signature stuff for their album opener including the singalong muthafucker of a chorus. Where it gets more interesting is towards the end of the song when it all goes a bit crazy. That might be Pat Smear being back as a full time member, maybe it's just Grohl letting the band be a band, but it feels a tad more free. Dear Rosemary might be the best Foo's song for three albums. Bob Mould's presence is a big factor, his voice sitting behind Grohl's on the chorus and it's good to hear that him inside a great song again. Makes you miss those Copper Blue days. Yes it's another anthem but the words are pretty potent for a Foo's track and live it's gonna kick like a mule. White Limo sounds like it's been lifted from a Queens of the Stone Age album. Distorted vocal, dirty and fast. Good. It's like the harder stuff on The Colour and the Shape and although newer fans will hate it it's a relief to hear that Grohl still loves making music like this. The one that's gonna get the festival crowds on their feet is Arlandria. The chorus is to die for, an angry break up record and a great rock tune. What Wasting Light doesn't do is waste a second of the fat it's two predecessors were guilty of and it's so much better for it. It's still the Foo's, Burning Bridges and These Days are about as by numbers as they get, but there's more bite here than on the last record. In short this feels like a throw back to those early Foo records. The ones that felt like they mattered. A little harder, a little less obsessed with playing it straight and more focused on sounding tight and full of life. If you like your Foo's a bit softer you've been catered for too. I Should Have Known is their most beautiful song since Everlong. A lament to lost friends that's inevitably going to be linked to Cobain but is apparently about the more recent loss of Jimmy Swanson one of Grohl's best friends. Krist Novoseleic is on the track playing accordion, beautifully I might add, and with Grohl's voice faltering it's going to interesting to see how big this becomes among the faithful. Swanson was a school friend, a Foo's roadie and died of a drugs overdose three years ago. 'I can not forgive you yet,' goes the chorus. It's as powerful and direct as Grohl has ever been, the song's more emotionally charged as anything he's ever sung. Wasting Light isn't going to convert anyone. It's a Foo's album. But it's better than the last two.